Our new teen librarian came up with this super fun passive program this week. The teens who spend time with us every day after school are completely obsessed with Super Smash Bros. Brawl. So totally obsessed that I am forced to hide it at least one day a week because the music and cackles of weird character positions when pause is hurriedly pressed make me want to pull out my hair on occasion. 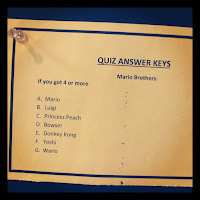 Enter the "Mario Character Quiz" contest. 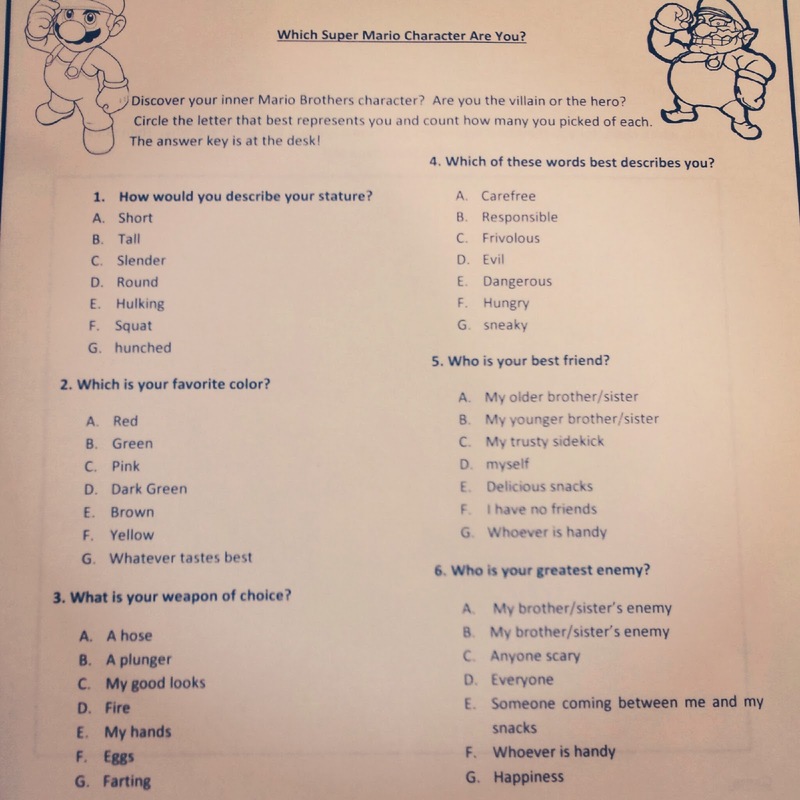 Teens answered a series of questions to determine which Mario Brothers character they are most like. 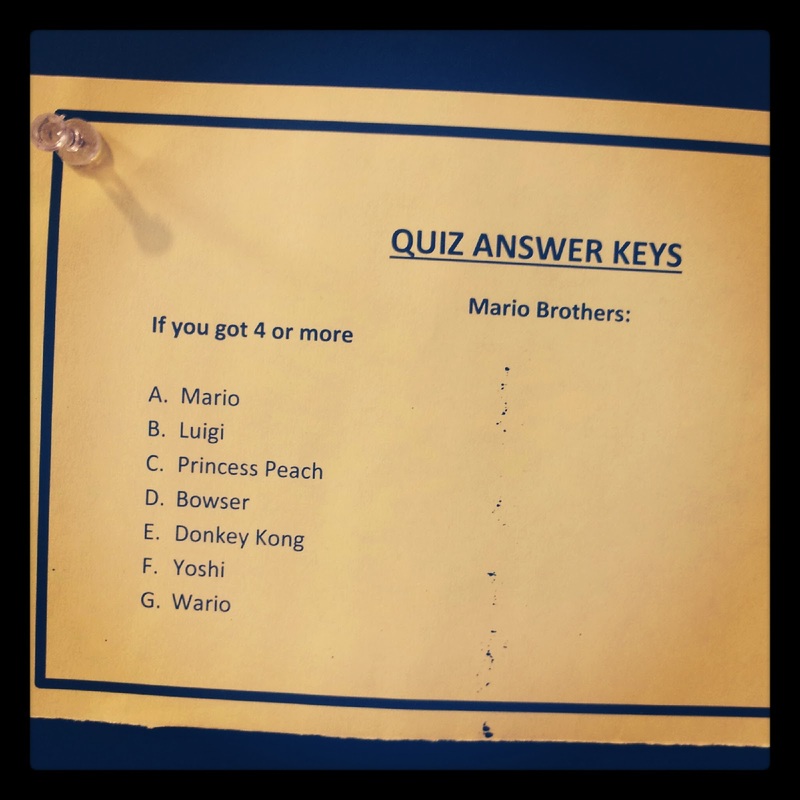 Some cheated...looking at the answer key before filling out the quiz, while others changed their answers to assure they could be their favorite character. 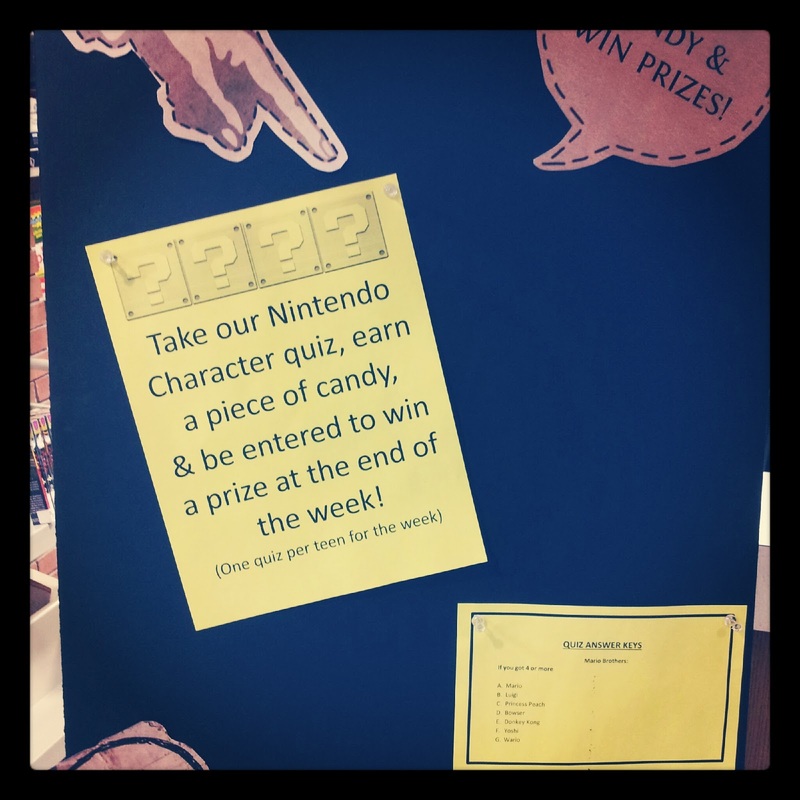 Either way, we had over 30 kids participate for the chance to win a prize. 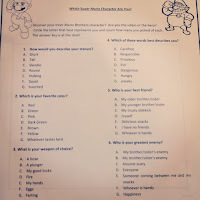 1) How would you describe your stature? 2) Which is your favorite color?